At first I had to prepare two presentations for two conferences. 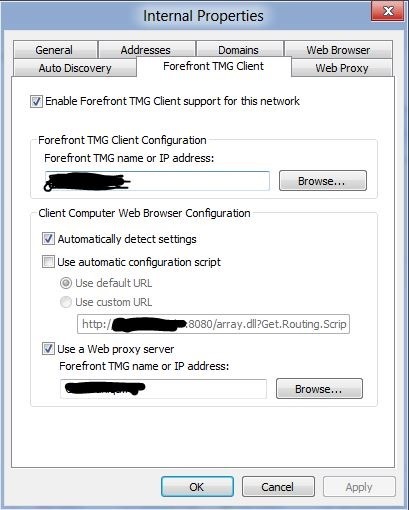 And second I had to configure my TMG that users have access to intranet web page. 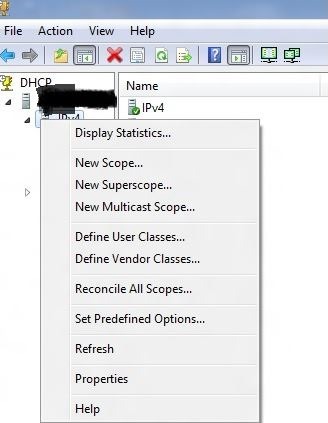 From first it looks like simple configuration but later I couldn’t open intranet web page. My configuration was simple. Intranet is on LAN not in DMZ, and TMG for some reason were blocked web access to every web page in LAN. 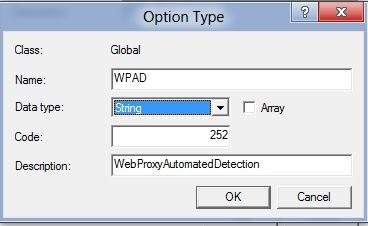 Then I discovered WPAD (WebProxyAutomaticDetection). 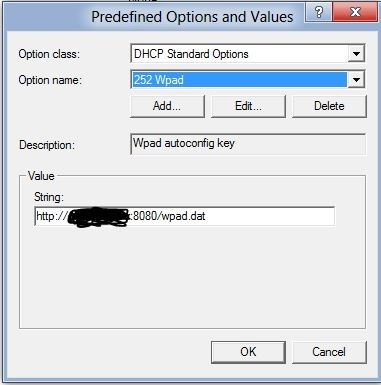 After this I just add option 252 to be distributed by DHCP and wait. My first idea was that only use firewall client but I had problems with intranet web access. 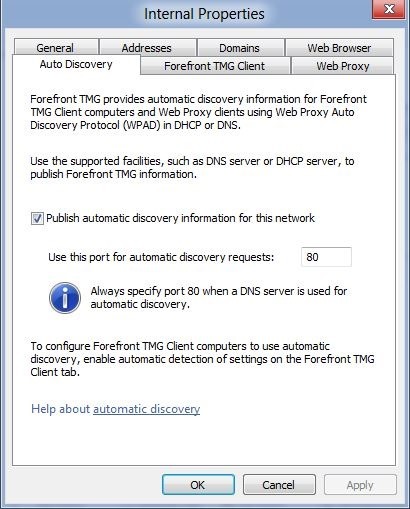 Currently this automated solution works fine but I will see how to use only firewall client.